We’re told the BBC is ‘too big’. Yet Britain is part of a Europe-wide trend where funding for public service is shrinking, while commercial revenue grows. Of course it is entirely appropriate that our attention is firmly focused on an institution that plays such a crucial role in British public life, though we should be far more concerned about its performance than its size. Indeed, if the main issue is about size, regulators should be more worried about BskyB, whose revenues far outstrip those of the BBC and whose income is set to grow over the next few years. Enders Analysis estimate that by 2026, subscription revenue will account for 44 per cent of the TV market in contrast to a mere 12 per cent taken up by funds available for the BBC. The emphasis on how big the BBC is masks a very significant development that provides a more meaningful background for the debate on its future. Namely, the decline in funding for the vast majority of public service broadcasters across Europe in the face of a substantial rise in revenue for commercial groups. The policy context we face Europe-wide is of a growing gap between commercial organisations and public service operators. 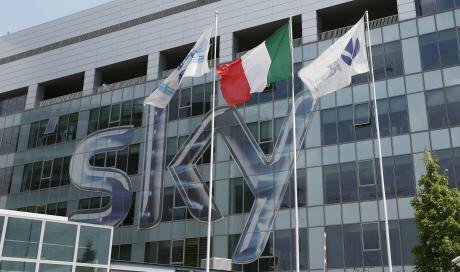 Figures from the European Broadcasting Union (EBU) in 2014 showed that the top five private companies (Liberty, BSkyB, RTL, Mediaset and Canal+) have same revenue (€33 billion) as the fifty-seven members of the EBU. 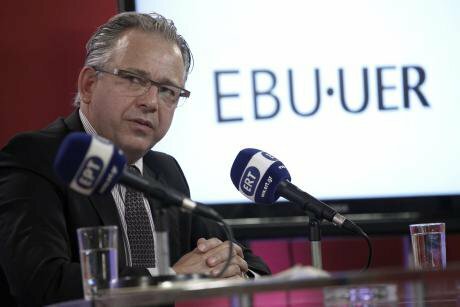 Many EBU members are experiencing severe economic difficulties, including cuts to 2012-13 budgets of over 40 per cent in Georgia, 27 per cent in Serbia and more than 20 per cent in Cyprus and Albania, let alone the closure of whole stations in Greece and Spain (although the Greek state broadcaster is now back on air). Meanwhile, the top twelve European commercial media groups continue to see substantial growth in their revenues: in 2013, their total revenue increased by 4.8 per cent, while revenue for all the public service operators dropped by 4 per cent. Yet this is rarely the story that is told and, at least in the UK, it is certainly not the one that appears to be driving policy. In fact, ministers and commercial lobbyists seem determined to scale back the operations of public service operators, whether through cuts to the BBC, the privatisation of Channel 4 or a change of ownership for ITV. One may respond that there is little to worry about so long as declines in public service broadcasting budgets are offset by a growth in spending of commercial groups. The evidence suggests, however, that this is not likely to happen – at least in one particularly important area: the production of original national TV content. Public service broadcasters play a key role here because their content spend as a share of revenue is far higher than their non-regulated rivals. For example, while Channel 4 devotes some 64 per cent of its revenue to content, with the BBC and ITV following behind with 57 per cent and 50 per cent respectively, HBO and Sky spend just over a third of revenue on content. A reduction in the money available to PSBs to spend would especially hit original content given the fact that they provide a disproportionate amount: over £2.5 billion in contrast to the £350 million spent by commercial groups in the UK as estimated by Ofcom. This is a pattern replicated across Europe where, according to Analysys Mason, original content is ‘mainly funded by public and commercial-free to air (FTA) channels’ whose ‘potential financial weakness could have a serious impact on European TV production.’ This appears to be borne out by Ofcom’s figures in relation to original UK content where there has been a dramatic fall in spending on key genres including original drama, comedy, arts, music, religion and education – genres that are at heart of an inclusive public service remit. In conclusion, there is no longer a level playing field in European broadcasting. Revenues – and possibly therefore the influence – of commercial groups increasingly outstrip those of public service broadcasters. Critical responses to the green paper on the BBC, as well as to developments elsewhere in Europe, need to focus, above all, on the performance of public service operators. We need to move away from the current debate over size, to ensure that public discussion and policy action is not dictated simply by an ideological predisposition to shrink the public sector and to grow its commercial rivals.